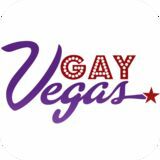 Gay Vegas was founded in 1997 during the dot-com boom, which included the initial registration of the GayVegas.com domain. 18 years later, Gay Vegas is the voice of the LGBT community in Las Vegas. Gay Vegas Magazine has the highest printed circulation in the Las Vegas LGBT market. We are also available on various digital platforms and are powered by www.GayVegas.com. Gay Vegas is first LGBT publication in every major hotel & casino in Las Vegas. Our publication is professionally delivered to over 200 Vegas locations by a third party distributor. We are also Vegas' first LGBT magazine to be audited & verified by an accredited agency. We are the only monthly printed Las Vegas LGBT publication in full gloss.